Camelot Construction has been improving homes and helping people take advantage of our beautiful Northern Michigan surroundings from a new deck, covered porch, 3 season room or patio. The goal is to help you design a deck that meets your individual needs and fits with your home and lifestyle. The process begins with a visit to your home where we discuss your needs and offer you suggestions on materials and design. Today there are several options when it comes to materials and designs. 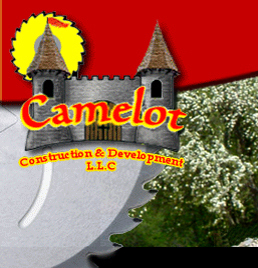 Camelot Construction takes the time to educate our customers about the various materials and their benefits as well as pose beautiful unique ideas to make your deck, porch or patio one of a kind. Our team works on your project from start to finish, with same attention to detail and quality that we would do with our own home. Whether you are considering a simple deck project or one on a grander scale we would enjoy meeting with you to discuss creating a breathtaking addition to your home. and speak with one of our satisfied customers.